Last week, together with colleague MEP Tunne Kelam, and former MEP Struan Stevenson, I visited “Ashraf 3” the new site of the Iranian democratic opposition PMOI (MEK) in Albania outside Tirana. This visit was truly an inspiring journey and an eye-opener to how misinformation and fake news can deceive the general public about the reality when states like Iran use their vast financial resources to divert the truth. Nearly 3000 members of Iranian democratic opposition, many of whom have dedicated their entire lives to establish freedom and democracy in their country, are residing in Ashraf 3. As a war journalist covering various conflict zones in Europe and Asia for many years, I had often seen displaced people ending up in difficult situations. What was striking to me here was the unparalleled high moral and spirit of these brave freedom fighters. The Ashrafis who were all displaced several times in Iraq and had their belongings confiscated before coming to Albania, have shown remarkable resilience and an exemplary commitment in overcoming these difficulties. In Iraq, they were under constant repression and lethal attacks by pro-Iran militias for years, until they arrived in Albania in September 2016. The UN had provided accommodation for a portion of them for one year but since that period expired by the end of 2017, all residents were forced to leave and find new accommodation by their own. Since no facilities or constructions in the country could accommodate such a large population, the residents decided to build up their own place in a farmland that they purchased outside Tirana. The new place was symbolically named “Ashraf 3” after the original camps that the residents were twice forced to leave in Iraq. In less than a year, the Ashrafis worked day and night to build up a city from scratch in the empty farmland. Ashraf 3 has by now many functioning facilities such as water purification, medical centre, dentist units, pharmacies, bakeries, shops, sports centres, library, meeting halls, education centres and more. All costs for this breathtaking project were provided by donations and loans from Iranian opposition supporters around the world. No government help or subsidies were given to them. Iran’s regime, furious by the safe transfer of its main opponents to Albania and unable to respond to a year of continued uprising and protests at home, launched a new media offensive and spent enormous resources in some western press in recent months. This is to demonise and dehumanise the Ashraf residents to discourage their supporters while paving the way for new terror plots on these opponents in Europe. Some of these media reports claim that the Ashraf residents had been kept against their will by the “cult-like” MEK organisation and were barred by the leaders from leaving the camp or communicating with the outside world. Nothing could be further from the truth. During my short visit we met and spoke to hundreds of residents who confirmed their fullhearted dedication to the cause. The residents were regularly going out of the camp for shopping, recreation, medical appointment or other activities. While in Ashraf, I spoke also at a big conference with over 500 Albanians participants including members of parliament, local officials and ordinary citizens who had come to Ashraf to support of the Iranian opposition. We should indeed praise Albanian people and their government and politicians for their brave move to accept the Ashraf refugees. I was particularly struck by the great resolve of many young Ashrafi women who spoke about their personal sacrifices and how committed they were to stand up to the mullahs till the very end no matter the high price they must pay. I am fully convinced that with these determined and clearheaded freedom fighters, the days of the mullahs in Iran will be numbered. Only during the past few weeks, massive strikes by thousands of workers from the Sugar cane factory and the Steel factory has been going on in south of Iran. This follows series of protests and nationwide strikes by farmers, truck drivers, teachers and many other sectors of the Iranian society during the past year. Iranian authorities blame the coordination of these protests on the MEK and the Ashraf residents. The regime has even resorted to terror plots on MEK activists in Albania. 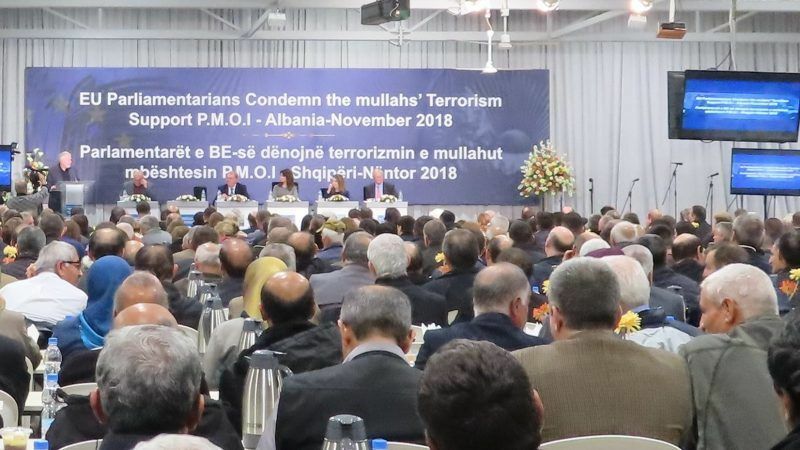 A car bomb plot targeting the Persian new year gathering of the MEK in Tirana was foiled by Albanian police in March this year. Three month later, the French, Belgian and Germany security services arrested several Iranian agents including a top diplomat from Iranian Embassy in Austria. This diplomat had gone to Luxembourg to hand over a highly explosive device – using same type of explosive used by ISIS in the Brussels bombings, to target Iranian opposition NCRI’s Free Iran gathering in Paris in June where tens of thousands including top class western politicians were present. 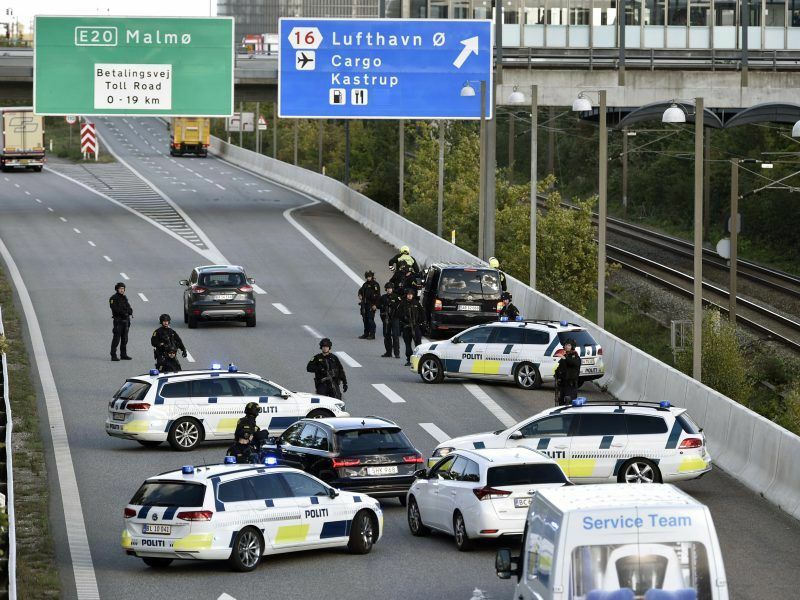 Last month, Denmark recalled its Ambassador from Iran over a foiled assassination plot targeting Iranian dissidents in Copenhagen. But the EU High Representative Mrs Federica Mogherini’s response to the series of Iranian terror plots on European soil has been a total silence, insisting rather on increased trade with Iran as part of the nuclear agreement. Many of us in the European Parliament believe that our High Representative would do better to give priority to security of EU citizens and focus on expelling Iranian terrorist diplomats from EU instead of investing on a repressive and corrupt fundamentalist theocracy whose lifespan has come to an end. The EU should not care one bit how Iran is ruled. 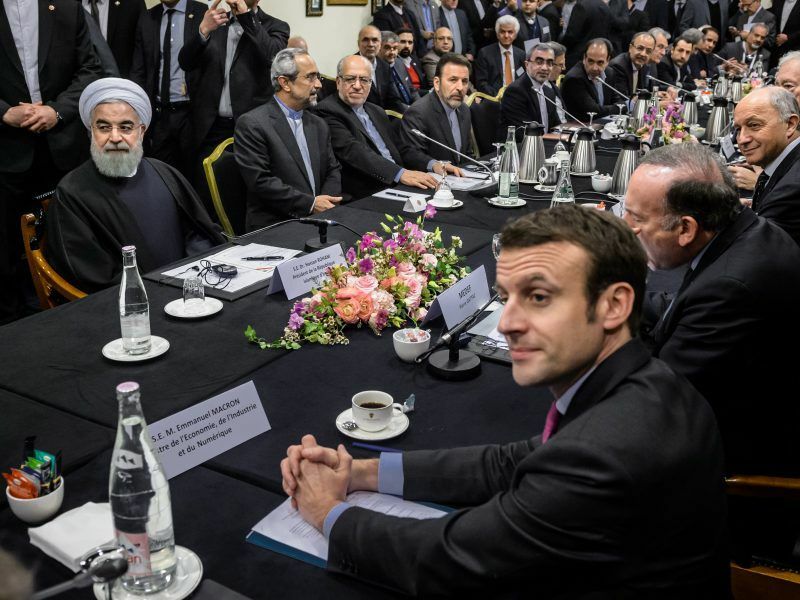 It should care about the security of the European citizens, and therefore, about Iran’s nuclear program, which it believes existed (despite several proofs to the contrary). So Mogherini, for once, is right. Insofar as MEK is concerned, the EU should keep its distance from it. What might have been a movement for greater freedom in Iran, has since turned into a cult-like movement (sorry Jaromir, all I read supports this statement), hated by most Iranians for its violence and its support of Saddam and the USA, and unlikely to have any significant role in the future of Iran. A movement that is known to flatter and woo politicians and journalist with fat checks. Surely Jaromir is not among these journalists, but it is a fact that MEK pays substantial fees to USA politicians willing to endorse it. Facing nationwide protests and demonstrations by almost all sectors of Iranian society, the unprecedented international sanctions and pressures, terrorist regime of Iran has resorted to a new wave of misinformation campaign against its main Opposition, the People’s Mojahedin Organisation of Iran (PMOI/MEK) to tarnish their image. The regime’s Ministry of Information & Security spends millions of pounds recruiting agents as so-called journalists and infiltrate them in Western media to do regime’s dirty black misinformation campaign against the PMOI/MEK. These people lobby for the regime to save it from downfall by writing fake articles, spreading false news and propaganda campaign in favour of the ruthless Mullahs regime. Just have a look at Middle East and in particular Iran affaires writers of the Guardian. You find so many of them who are actually on the payroll of Tehran regime! It is outrageous to allow religious fascism ruling Iran spread fake news in Britain and elsewhere to influence and shape public opinions. Diplomat-Terrorist agents of this regime as well as its agents in media, lobbying for the regime should be kicked out of Europe. The problem is that EU is more interested in trade with Iran than its own security. Under the nuclear deal, Iran is guaranteed EU money and in return, it has infiltrated EU countries with terrorist-diplomats! At least 4 Iranian “diplomats” have been arrested or expelled from EU in relation with terrorism plots since May this year. This should be an alarm bell. But it seems EU is following the policy of feeding the crocodile, hoping it will eat you the last! A clearheaded article by a veteran journalist who has covered more than 20 military conflicts in Europe, Asia and Africa. Iranians know the regime spreads disinformation about the MEK. It’s appalling that some Western media outlets would let themselves be duped by the regime’s agents. The European and American High Courts have all rejected the regime’s charges against the MEK.